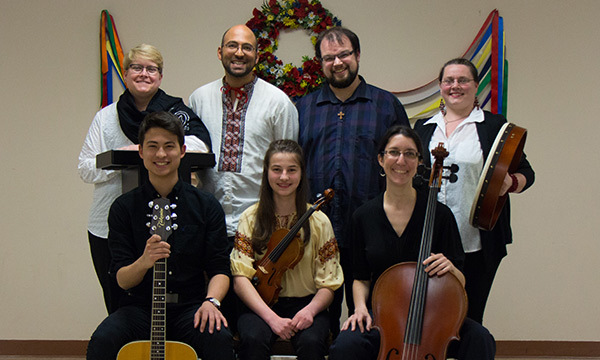 Peregrinations is an ensemble of parishioners and friends of St. John the Baptist Ukrainian Catholic Church here in Ottawa. 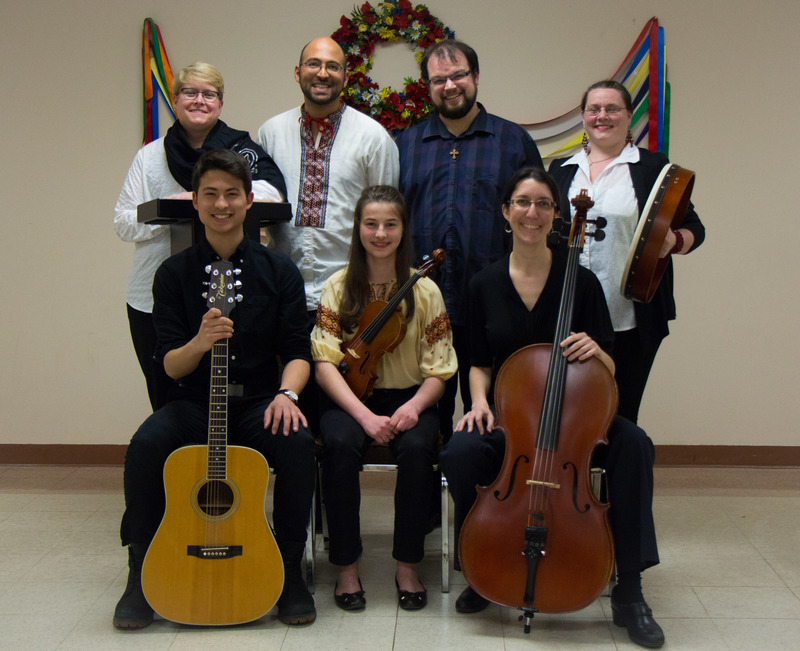 Their repertoire currently includes traditional Ukrainian tunes; Celtic ballads, jigs and reels; and Canadian and American folk songs. 'Galicia,' as a common name for the western region of Ukraine, actually derives from the same root as 'Celt,' since the Celtic peoples once dwelt there in the course of their 'peregrinations,' that is wanderings, towards the British Isles. Our music is also a 'wandering' through different cultures, times and places--from Kyiv to Kilkenny, one might say--in search of whatever stirs our souls. The membership and instrumentation of our ensemble is fluid, but its base is the duo of Brian A. Butcher (guitar, piano, vocals) and Louise St. Germain (cello).